Discount equivalent to IVA on phones, tablets and computers at Carrefour until 23 Jan. Discount given as voucher to use 24 Jan to 6 Feb. The Phone House Huawei promo, get up to 100€ off, ends 20 Jan. Huawei Mate 20 Pro also comes with interest-free finance, repay in 12 months. Interest-free finance at MediaMarkt on Apple products. Min. purchase 299€, repay in up to 24 months. 10% off Lenovo Ideapad and Legion at Lenovo online store, ends 23 Jan. Flash sale at Fnac 17 & 18 Jan, online only. Carrefour promo in section above also available for TVs and home appliances. 0% finance at El Corte Ingles for store card holders ends 18 Jan for home appliances, electronics and homeware. Ikea kitchen & dining room promo: 60 months interest-free when purchased before end Jan.
Also at Ikea Malm 4-drawer chest 59€ until 3 Feb (reduced by 10€). Extra 20% off top brands at El Corte Ingles until 3 Feb on men’s, women’s and kids’ fashion. Further discounts (segundas rebajas) at Cortefiel and Pedro del Hierro stores. Also get 20% off the new collection with code 020 until 24 Jan.
“Baby month” at ToysRUs stores and online, discounts on cots, pushchairs and more. 3€ discount for DryNites, fill in form at link and print coupon. Get 50% back when you buy Coca-Cola products. 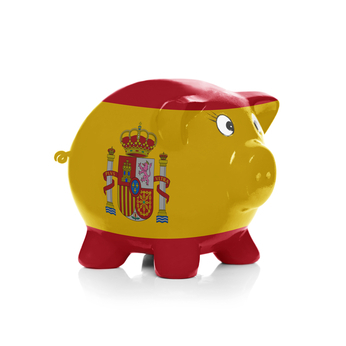 Valid until 28 Jan, up to 100,000 reimbursements in Spain, max. reimbursement 7.50€. Navidul jamón reduced at Amazon Spain supermarket. 5€ off when you spend 25€ on a selection of olive oil at Hipercor. Also 10€ off 90€ spend at online supermarket with code SOYNUEVO. Spend 49€ at Clinique online and get a set of 4 mini products (not samples): mascara, cleanser, lipstick and moisturiser. Use code ENERO19 at checkout, ends 31 Jan.
50% off sale at Chemist Direct. Holland and Barrett Spain promos: 1 cent sale (mix & match on selected products), buy 1 get another for 5€. L’Occitane en Provence promo online only: 7 mini products when you spend 65€, use code ESENCIALES19. Carglass offers a free windscreen anti-rain treatment with repairs or replacement. Promo valid until 20 Feb.
With 2 Buitoni pizzas, get 2 months free HBO subscription (newbies only). Promo valid until 28 Feb, use code before 15 Mar. Lonely Planet sale, 45% off everything until midnight Sunday. Free movie on Google Play when you buy a promo pack of Energizer batteries. 25% off DVD, Blu-ray movies and series at MediaMarkt. Mardel milk caramel spread, by cash back. Get 2 free personalised Nutella labels when you buy a promo jar. Upload a photo, indicate the name and choose the design.